The Dumbo Gan in DUMBO, Brooklyn is an intimate children's learning center for children aged 3 months to 4 years. Children learn through play in a home away from home. We combine secular and Judaic studies in an age appropriate way with the focus on each child's unique character, development, and talents. Children of all backgrounds are welcome. We are now accepting students 1 to 4 years old for the 2018/2019 school year and for summer camp 2018. At our Brooklyn preschool in DUMBO, Jewish learning is not simply a subject. The warmth, meaning and practices of Judaism are an integral part of each day. Jewish songs, holidays, and traditions are taught in a meaningful and joyous way. We utilize an extensive supply of early childhood toys, games, and manipulatives to give our children the hands-on experiences that they will need to expand their imaginations, as well as to develop their motor skills. Every child is encouraged to learn and absorb to the utmost of his/her own ability and is not expected to perform as their peers. 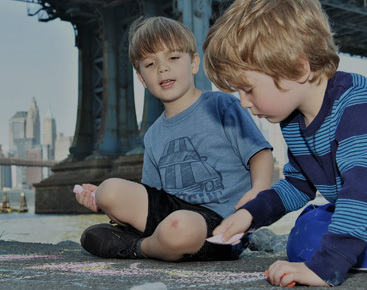 At The Dumbo Gan Brooklyn preschool, we strive to nurture each child’s innate sense of wonder and curiosity. 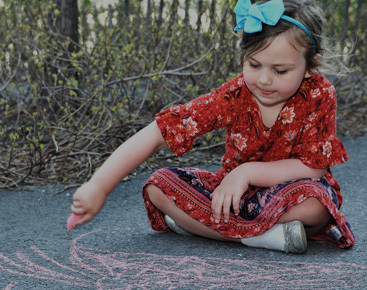 We firmly believe that the cornerstone for all cognitive learning is a nurtured sense of self-worth, achieved by celebrating each child’s individual creative expressions and their unique strengths. We capture your child's natural joy, encouraging your child to observe the world around them, and express themselves in a variety of ways. Children need to touch, feel, explore, analyze, investigate, and experience. Through active participation, learning goes beyond knowing to experiencing. 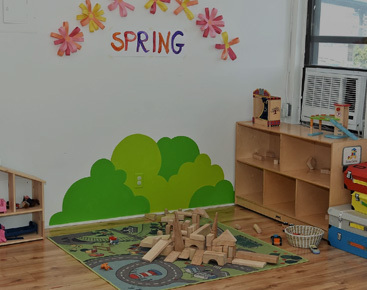 The staff at the Dumbo Gan in DUMBO, Brooklyn is highly experienced and qualified in early childhood education. We are dedicated to seeing every student succeed and grow in their first classroom experience, which sets the tone for the rest of their academic career. Overall, we strive to create a safe and warm environment in which students can learn, grow, explore and fall in love with learning! ©2018 The Dumbo Gan® - Do not copy.